The technology has shortened wait times and added convenience for guests. 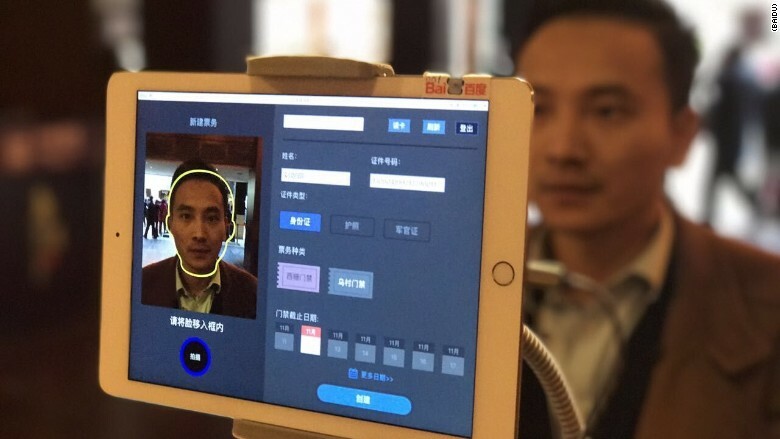 So far feedback has been positive, according to Baidu (BIDU) and the Wuzhen Tourism Co.
"You always have your face with you," Baidu chief scientist Andrew Ng told CNNMoney. "Facial recognition, while not a panacea, has a lot of strengths that other authentication methods don't." Using biometrics for authorization is nothing new. Fingerprint scanners have long been used, but they aren't always effective. For example, it's harder to authorize on older users due to how aging changes fingertips. Meanwhile, some iris-scanning technology can be tricked by printing out a photo of a human eye. Baidu's technology, however, detects when a person isn't live so someone can't beat the system. 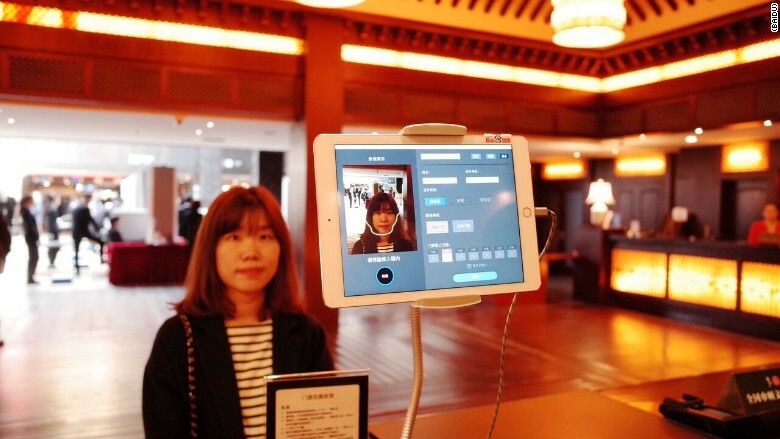 Baidu isn't the only company using a person's face for authentication. Microsoft lets users sign into some of its Surface tablets with facial recognition technology. In September, Uber began requiring U.S. drivers to snap a selfie before their first ride of the day to prevent fraud and protect drivers' accounts. If the photo a driver submits doesn't match what's on file, Uber will block the account until the situation is resolved. 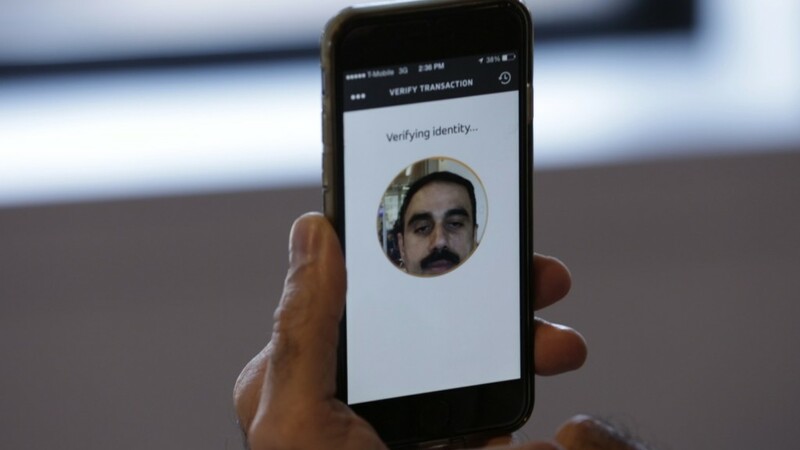 MasterCard has tested using facial recognition to verify its cardholders' identities and make online shopping easier. It will formally launch its program in the first half of 2017, according to a spokeswoman. Ng said Baidu will allow partners to use its technology, too. One partner is already developing a way to use it to enter the home. Rather than relying on a physical key or punching a code into a door, the door would automatically unlock once a person -- with granted access -- approaches. Ng imagines this will be useful for short-term rentals.